New Era for Proprietary Oil Service Ratings - AutoInc. 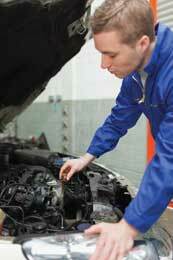 Oil changes are the most common automotive service. But, our industry depends largely on marketing hype instead of facts and standardized test results to evaluate and select fluids, lubricants and filters. Many teachers remain unaware that the American Petroleum Institute (API) approval fails to meet the minimum requirements of most new cars sold in North America. Do you know your lubrication requirements? Most shops are unaware of the differences between a low dynamic viscosity 5W-30 to a high dynamic viscosity 5W-30 or the damage caused when the wrong products are installed. As an industry we don’t even know how to properly determine the viscosity of the oil we use. Oil marketers benefit from ignorance. Ignorance allows them to sell us whatever is most profitable for them. They can sell us a $3 oil in an $8 bottle labeled “Full Synthetic” and we don’t know the difference. They can sell us a 20-cent outdated supplement (that is prohibited by the OEM) in a $5 bottle and make us believe it is going to help whatever problems we “think” we are seeing. They can make us believe that a single product (oil or supplement) is a solution to every one of the very different lubrication-related problems caused by the wide range of advancing engine technology. Ignorance is expensive! Things have changed! The API has upgraded its oil requirements 10 times since my high school days. Each upgrade brought better protection and increased oil life. But engine technology and lubrication technology has changed even faster. Today, the latest API-SN approval fails to meet the OEM requirements of virtually every car sold in this country. It also fails to meet the OEM requirements of most cars sold during the past 10 years. The API is dominated by oil companies. Automobile manufacturers have different goals than oil companies. Oil companies don’t like oil service ratings that require the less profitable, higher-grade base stocks. They also like shorter oil drain intervals that increase their sales of product. The International Automobile Manufacturers Association (ACEA) is dominated by automobile manufacturers. These car companies (OEMs) need oil service ratings to identify oil that will provide maximum protection for specific engine designs and also tolerate extended oil drain intervals. OEMs now create their own proprietary oil service ratings. ACEA then uses OEM test sequences to create a wide range of generic oil service ratings. The oil products you used a decade ago will not meet OEM requirements today. There isn’t a “one size fits all” additive that avoids creating additional problems. Aftermarket oil supplements generally make matters worse. Virtually all OEMs prohibit their use. They are profitable, but supplement and flushing service should not be oversold. Consumer protection agencies, including the California Bureau of Automotive Repair, are starting to crack down on shops that oversell supplements and flushing services. In Europe, the change in lubricant standards started to accelerate in 1998. European engines began evolving in two dramatically different directions. Some required high dynamic viscosity while others required much lower dynamic viscosity. A SAE 5W-30 can be high dynamic viscosity or low dynamic viscosity. So, the SAE viscosity rating no longer identifies if the oil is the correct viscosity for 1998 and later vehicles. Additional service ratings must be used to identify if an oil product is the correct dynamic viscosity. Oil company marketing experts have done an excellent job of creating brand loyalty and trust. People are ignoring all of these oil service ratings and simply trusting their favorite oil company. This brand loyalty prevents people, including experienced shop owners and technicians, from selecting proper oil products. It also allows the oil companies to sell cheaper base stocks in fancy packaging at inflated prices. Oil companies now offer several different part numbers for a “Brand X Super Syncotech 5W-30.” Each part number appears to be the same product. Many of the brands are 5W-30 full synthetic products that are formulated to meet specific proprietary and ACEA ratings. But unless you order by the specific part number, the 5W-30 full synthetic you are most likely to receive will fail to meet any of the more stringent ACEA or proprietary oil service ratings. It’s essentially a $3 product in an $8 bottle! And, it may allow engine damage and void the OEM warranty! As shop owners and technicians began insisting on compliance with ACEA and proprietary ratings, some oil company marketers increased their deception. The marketing experts started making up their own categories of tests within each service rating. If a product failed some of the required test sequences, they would categorize those tests as “performance tests” or “service tests” and categorize the tests their product passed as “protection tests.” That allowed them to label products with statements like “passes ACEA A1 engine protection tests” even if the product failed some of the ACEA A1 test sequences. “Exceeds all GM 4718M engine Protection requirements” was used on many brand X products that failed GM 4718M. 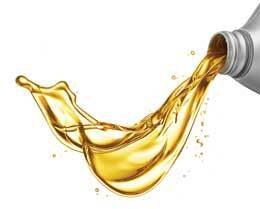 With all of this confusion, it was impossible for an OEM to ensure that shop owners could identify and use the proper oil or other fluids in any given car. That’s when and why GM introduced the dexos licensing program and the dexos registered trademarks. The dexos licensing agreement includes stringent testing, quality control monitoring and a contractual agreement. This greatly reduces the ability of any given oil company to market a substandard product as a GM-approved dexos product. If the dexos registered trademark appears on the container, you know GM has actually tested and approved the product. GM dexos1 licensing is probably the best example of an oil service rating that assures proper protection. But, it’s only intended for GM gasoline engines designed for a low dynamic viscosity oil. For everything else, we still need to identify the OEM lubrication requirements of each engine. The more training we get, the easier this gets. 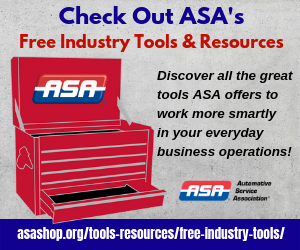 Without significant training, most shops need a vast inventory of oil products. And the same is now true of coolant, transmission fluid, brake fluid and most automotive fluids. Even filtration requires a bit of update training to sort out what works best in modern automobiles. The shops that get appropriate training on modern fluids, lubrication, cooling and filtration are dramatically increasing profits and customer satisfaction! The shops that ignore these changes are facing increased liability and competition from quick lubes and dealerships. Specialized oil is now required to maintain new vehicle warranties. But, it also allows far greater options for shop owners. Becky Witt (of George Witt Service in Lincoln, Neb.) has used specialized oil service ratings to dramatically increase profits. Over the past few years she has also been able to verify that using specialized oil service ratings to extend oil change intervals has reduced oil leaks and many other repairs. Her premium oil changes are selling very well, increasing customer satisfaction and attracting new customers. The combination of better oil and extended service intervals is resulting in cleaner engines with fewer breakdowns, increased profits and fewer headaches for everyone. But, duplicating Witt’s success requires training. 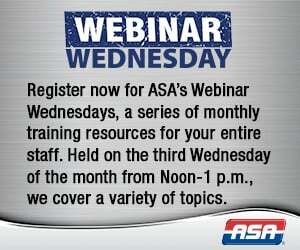 Currently, ASA-Washington will offer education on this topic at its 2014 ATE event. In addition, I will be working with NAPA to integrate this technology into their existing classes. Stay tuned for more info.